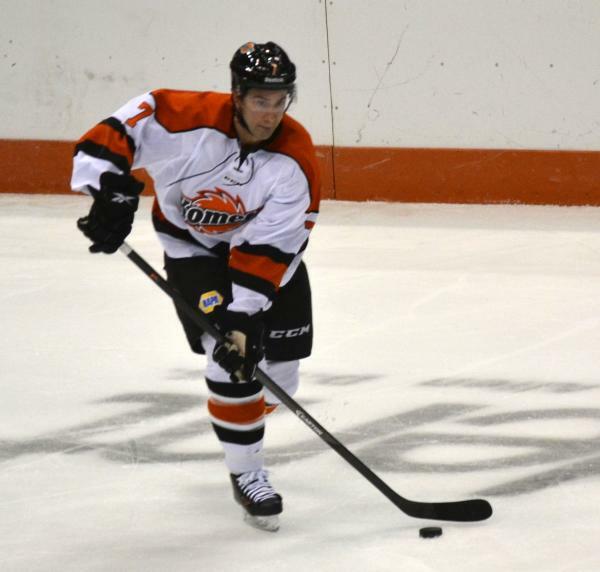 After a very sluggish start, the Komets sure settled down to beat the IceMen 7-3. The line of Angelo Esposito, Christian Ouellet and Eric Faille dominated with five goals. I thought it was interesting they scored in a bunch of different ways and not just because they were doing the same tactic every time. So many different story lines running through my head right now. Espo has very good O-zone skills but his D-zone and back check sucked. Ks looked good.. I thought they looked great after coming out with a few jitters...this should be a fun team to watch come together!!! That was Tremblay's first pro game, and after a shaky start, I was impressed with how he kept getting better. I really liked the hustle and that we won a majority of the 50-50 battles for the night. Big departure from last season's trend. We will see the adjustments tonight and just who plays tonight. I know I wouldn't touch the Esposito line cause they clicked really well. All 3 of those guys are on the team after tonight. I can't believe how well Sol skates for a guy 6' 6". He is the complete opposite of Olivier Legault.